Here are five of our favorite recent inventions that make traveling easier, faster and more comfortable. We also rank the items' usefulness on a scale of 1-10, with 10 being as useful as a map, and 1 being as useful as something from an old Sky Mall catalog. The pitch: If you like having your phone or tablet out at all times, the Airhook might help. 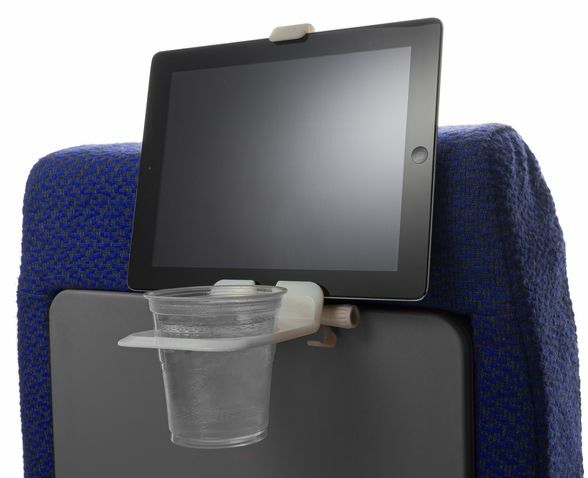 Place your phone or tablet at eye level on the airplane seat in front of you, and store your beverage in the built-in cup holder. It hooks onto the fold-down tray and gives you more personal space. Our take: Is it that difficult to fold down the tray or hold a phone or tablet? We say save that $25 for a burger at the airport and allow yourself to carry one less gadget. On the other hand, if you're the kind of biz traveler who has your laptop open constantly, leaving no room for the tray, maybe this makes some sense. The pitch: Oregami Luggage launches the first bag in a line of suitcases that the company says makes packing and traveling a breeze. Oregami has a patent-pending internal organizing system that includes three organizer compartments that fold out easily, can each be taken out separately and placed into hotel drawers, and reconnected and folded back into the suitcase when it's time to leave. Our take: Regular travelers know the best way to get settled into a new place is to actually unpack. Here, you just pull the suitcase apart and toss the pieces in the dresser drawers. Easy, breezy. And when there's no dresser available, the organizational structure would keep you from digging through layers of neatly folded and pressed pants to find a pair of dress socks. Assuming it's relatively easy to put back together, we're on board with this idea. 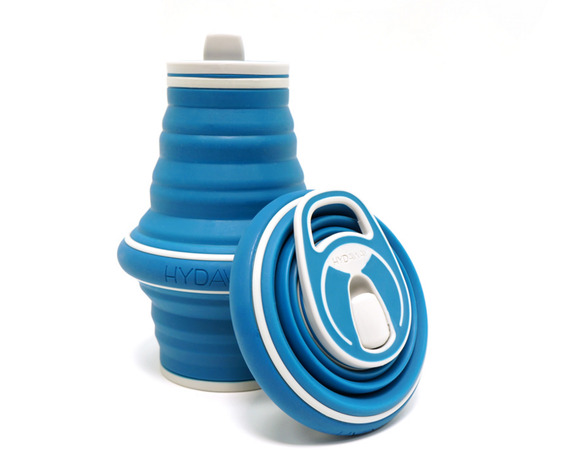 The pitch: The Hydaway bottle is a reusable water bottle that folds down into the shape of a small disc. Hydaway can fit in almost any pocket. When expanded, the bottle holds 21 ounces, though there is a smaller one that holds 12 ounces. The larger bottle fits in most vehicle cup holders and backpack water-bottle pockets. The 12 oz. bottle features a stable base to prevent tips and spills. And they are dishwasher safe. Our take: The concept is neat (although we just wonder how many times you can collapse it before it leaks), but now that so many bags have a mesh holder for your bottle, do you really need a collapsible version? On the plus side, if it means you keep a bottle with you at all times, allowing you to stay more hydrated, we're all for it. 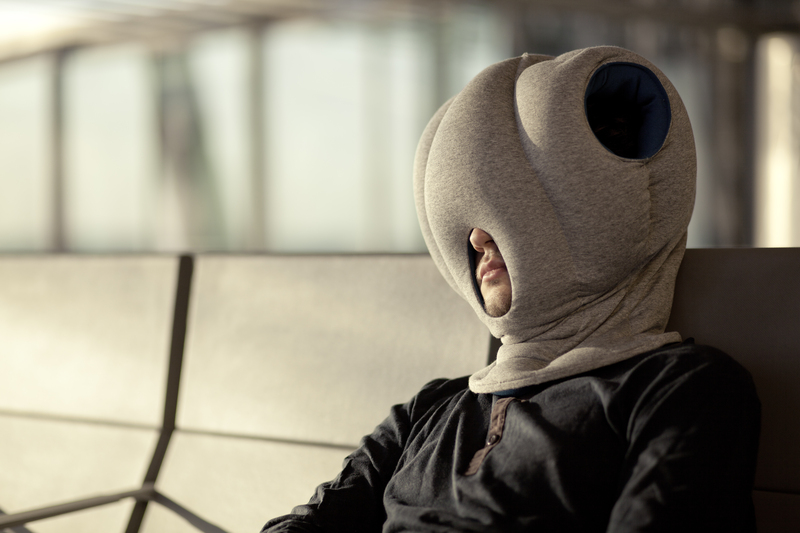 The pitch: The Ostrich Pillow enables easy power naps anytime, everywhere. Its soft interior shelters and isolates your head and hands for a short break, without needing to leave your desk, chair, bench or wherever you are. Simply slip the soft pillow over your head and place the central opening over your mouth to facilitate breathing. The top two openings are designed to create further comfort while enabling you to rest your hands through them. A variety of other pillows and similar inventions can be purchased from the manufacturer at studiobananathings.com. Our take: Do you really need to insulate your head to take a nap? More important, it seems it would make the user an easy target for thieves. On the plus side, though, it does help you look like Admiral Ackbar from "Star Wars." The pitch: Forget folding clothes to put them in a suitcase. This invention allows you to place the clothes face down on the Tidy Snap board, flip the sides to the center and roll it all up on the included Tidy Rod. A Tidy Band snaps the clothes together for easy and compact storage. Our take: Folding clothes can be a pain. This automates the process. 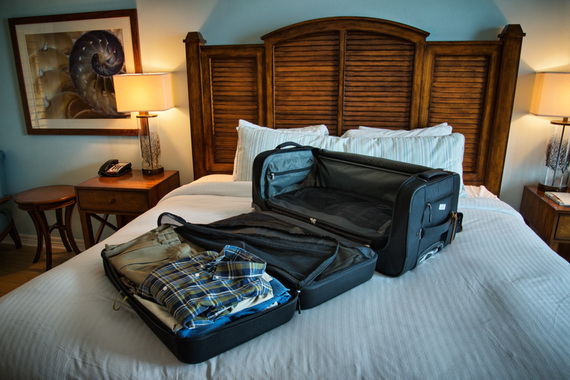 And how many times have so-called "experts" told you that rolling your clothes is the most efficient way to pack? For the rest of the 10 zany travel inventions, keep reading at WhereTraveler.com. Does Private Browsing Save You Money When Booking Flights? Article author Dustin Turner is an associate editor for Where.